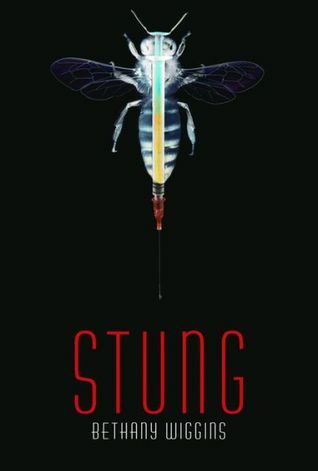 I’ve been wanting to read Stung for a while, and I’m glad I finally read it! It’s definitely a different take on a post-apocalyptic story, given that bees take center stage. I really liked how everything was explained, and I found the idea of bee flu interesting but scary. And that the bee flu has unintended consequences…it’s something I can totally see happening. Not the bee flu necessarily, but I can totally see something coming up and people needing a vaccine that goes horribly wrong. I found everyone’s reaction to those vaccinated for the bee flu to be pretty believable. I did like how everything came together and how believable everything was. I really liked Fiona, and her actions throughout the book are totally understandable, given everything that’s happened over the last few years. She has no recollection of what happen, just that she woke up thinking she was a 13-year-old girl, and is confused as to what’s going on. I thought that worked really well (for reasons I won’t give away), because characters with memory loss can be annoying. But this wasn’t the case at all! Especially because we find out what’s going on when Fiona finds out what’s going on. I also liked the flashbacks and how they were in italics, making them stand out. Especially because she remembers things throughout the book. Stung has a lot going on, but I liked that we weren’t overwhelmed by details. And that there’s a good balance between all of the action-y stuff and the learning about the world stuff. I’m not the biggest fan of Bowden and Fiona, mostly because I was more interested in what was going on. Still, I think I might warm up to them as a couple in the next one. I really liked Stung, and how it’s about the honeybees going extinct, and cloned bees to take their place, which leads to the bee flu and a vaccine that has complications. Stung is definitely different, and I like that it’s unique but also really believable. Stung gets 4 stars.